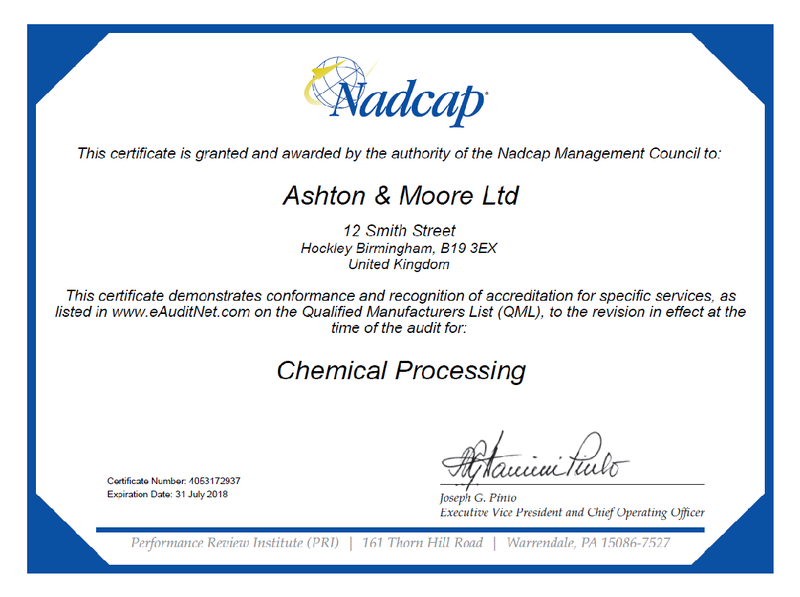 Ashton & Moore Ltd. is pleased to announce that, following their November 2016 audit, they have successfully achieved re-certification under the Nadcap approval system in chemical processing. Not only did we achieve re-certification, but are also qualified under the Supplier Merit Scheme for 18 months approval. For copies of the new certification, contact Ashton & Moore’s Quality department or alternatively see our website’s ‘Third Party Accreditation Scope’ in our Approvals area.